I hadn’t read fantasy fiction in quite a while and decided to give this book a spin based on many recommendations. 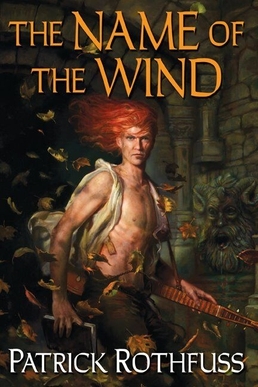 The first of a series, the novel is about an accomplished but world-weary magician, Kvothe, who has all but retired and become an innkeeper in an insignificant little town, to all intents and purposes just an ordinary man. Two people know better though, his apprentice, who lives with him; and a story-teller, a Chronicler who comes to seek him and hear his story. Although times are bad, evil is afoot, and dark forces roam the world, most of the book is in fact a flashback, the tale of how young Kvothe was separated from everyone he knew and overcame many a challenge to go and study at the University, a place where many things are taught, including science, history, engineering and magic. Like many fantasy stories, the plot is a variation on the hero’s journey, and our hero makes his way from humble beginnings, has many talents, fights personal enemies and evil forces, struggles with love, exudes a noble spirit and is blessed with friendship. Told from the point of view of an older man who seems to be incapable of world-saving heroics, however, the story is put in startling perspective. It’s clear that there is no happily-ever-after ending here (not yet, anyway). Young Kvothe’s reminiscing story remains unfinished in the book and will presumably be continued in the next. Rothfuss has a nice, easy, writing style that really shines out occasionally. The prologue is beautifully written and sets the mood of the novel perfectly. And he’s brilliant at telling stories within stories. Of course, his book is about someone telling a story of his past, but although that story has a very everyday kind of feel and flow, within that story there are characters that tell stories in a dramatic, epic style that is delightful to read. I wished there were more of those, I’ll admit. This was written by Anshul. Posted on Friday, July 29, 2011, at 1:15 am. Filed under books, reviews. Bookmark the permalink. Follow comments here with the RSS feed. Post a comment or leave a trackback.